Jim White serves on numerous boards and commissions. He serves as a Commissioner for the Ventura County Transportation Commission, and President of Partners in Housing, a community housing development organization that provides homes for persons with special needs in Ventura County. Jim is past Chair Elect, and a member of the Ventura Family YMCA Board, as well as past Chair, serves as Commissioner for the City of Ventura Parks and Recreation Commission, and a Board Member of the Ventura Visitors and Convention Bureau. He serves as Vice-Chair of the City of San Buenaventura Housing Authority and is a former Chair of the Ventura County Leadership Academy Steering Committee. 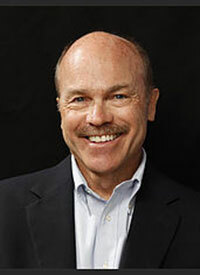 Jim is an Administrative Surveyor for the Commission on Accreditation of Rehabilitation Facilities (CARF), and past Treasurer and former member of the Board of Directors for the Consortium for the Educational Advancement of Travel Instruction (CEATI). CEATI is a national organization that supports and promotes the continuing development of the academic and profession of travel instruction to enable persons with mobility limitations to travel safely and independently. He enjoys long distance bike riding and running, and has run numerous marathons and century bike rides. He and his wife Diane have been married for 38 years and have two grown daughters.